AOC monitors are a favorite of mine. While they may not be the top of the line, these reliable displays offer a lot of "bang for your buck." In other words, they are budget-friendly, allowing you to save money. If you are a system builder, you know that money saved on a display can be used towards PC components, such as RAM, storage, etc. 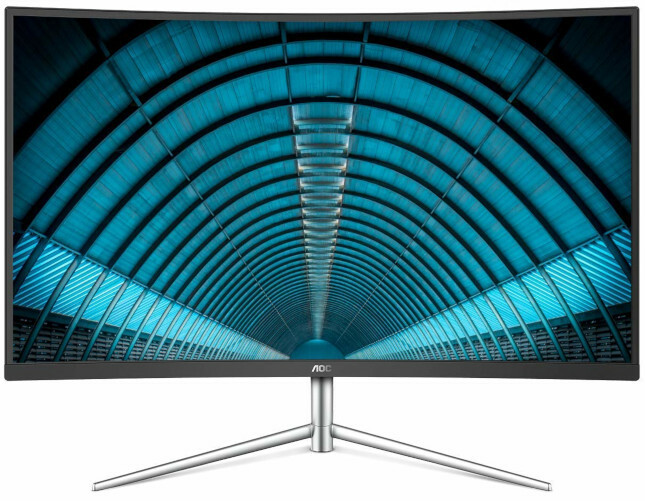 If you want one of those fancy new curved monitors, today, AOC launches a new model. The C32V1Q, as it is called, features a 32-inch screen. While a big display is appreciated, please know, the resolution is just 1080p. While that should be OK for gaming, you might experience blurry text during general use. Personally, I don't like to exceed 24-inch with 1080p, but ultimately, the consumer needs to make that decision. "The C32V1Q is AOC’s newest curved monitor. The monitor features a minimalistic well-built design with a glossy black body, metallic silver finish and sleek curves. The curved ultra-slim frameless design is perfect for multi-display viewing and enables seamless multi-monitor setups designed to boost productivity. 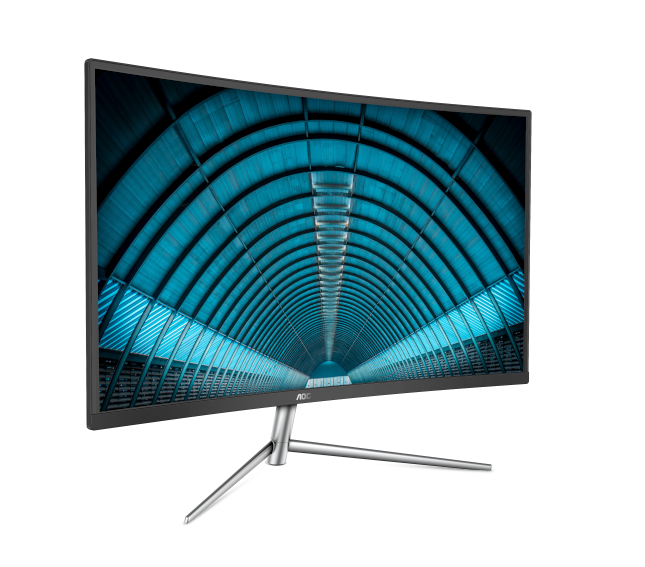 The borderless display offers a detailed 1920x1080 resolution and 60Hz refresh rate. The VA panel has viewing angles of 178 degrees, allowing users to enjoy consistent color uniformity and accuracy at all angles. The display also has a 20M:1 dynamic contrast with a 4ms response time, and features several different inputs, including one VGA, one DisplayPort and one HDMI for connectivity of all users’ high-quality digital video and audio devices," says AOC. The budget-friendly company further explains, "In addition to offering sharp picture quality and a beautiful design, the C32V1Q offers a host of wellness features to reduce eye fatigue during screen time. AOC’s exclusive Flicker-free technology utilizes a hybrid solution to regulate brightness and reduce flicker for a more comfortable viewing experience, while AOC’s LowBlue mode reduces the amount of potentially irritating blue light emitted by the monitor without compromising the excellent image quality. Finally, AOC’s Clear Vision function is an image performance engine which converts standard definition (SD) content to high definition (HD), enabling images to appear more clear and vivid." AOC shares the following notable features and specifications. The AOC C32V1Q can be had from Amazon here now. The price is quite competitive at $229.99, so despite concerns about resolution, it may still be a worthwhile purchase -- depending on your needs, of course.